Steven Kasher Gallery is pleased to present an exhibition of new photographs by Lou Reed accompanying the publication of his book, Romanticism (Edition 7L/Steidl, 2009). The book and exhibition feature stunning black and white and color images of landscapes and architectural motifs, shot on the artist’s travels to Scotland, Denmark, Big Sur and elsewhere. The photographs are taken with a specially altered digital camera, which gives them an aura of strangeness, or otherworldliness. They have a timeless quality but are simultaneously very modern, like Reed himself. They are surprisingly small in scale, making these striking natural images personal, portable, and intimate. First with his group, The Velvet Underground, and then as a solo artist, Lou Reed has been making innovations in music since the 1960s. 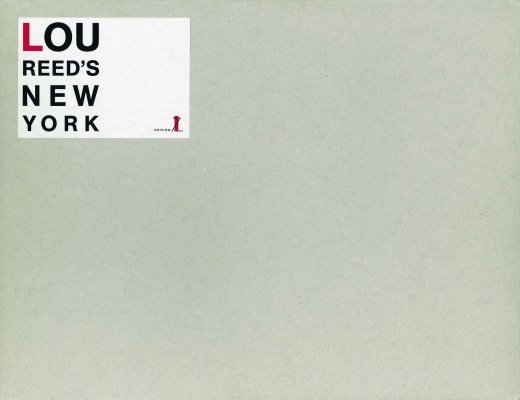 His name has become synonymous with the New York avant-garde, and with the city itself. With his photography, Reed has been moving out of New York, while his first collection featured portraits of the city, this new one focuses on more pastoral settings. This collection of photographs takes its name from the 18th and 19th century art movement that sought a return to the emotion, beauty, and unknowability of the natural as a counterpoint to industrial era’s emphasis on technological development and the pursuit of rational knowledge. Reed’s images recall this impulse: they focus on the aesthetic and the sublime; the splendor of a single tree against a cloudy Scottish sky, suffused with light. There is, however, also something uncanny and eerie about some of the photographs; the absence of human figures, a road leading over a bridge into a dense, shadowy forest. Reed has recently adapted the poet and writer Edgar Allen Poe’s The Raven, the supernatural is a theme that underwrites much of his recent work. Perhaps, like the Romantics, Reed is commenting on another Industrial Revolution — the rapid developments of globalization are once again placing the natural into both literal and metaphoric danger — the beauty of his landscapes takes on a more urgent meaning. Lou Reed has been working in multiple media for over thirty years. Along with his band, The Velvet Underground, he was inducted into the Rock 'n' Roll Hall of Fame in 1996. He has acted in and composed music for a number of films, and is the recipient of the Chevalier Commander of Arts and Letters from the French government. He is the author ofPass thru Fire: The Collected Lyrics and the play The Raven. Reed acted as guest art director for the Winter 2008/2009 issue of Francis Coppolla’s Zeotrope Magazine. 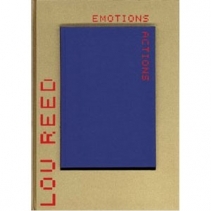 His previous books of photography, both published with Steidl, are Lou Reed’s New York andEmotion in Action. Reed’s latest work The Raven, published by Du Sueil, is a reworking in play form of some works of Edgar Allan Poe, illuminated by the graphic artist Lorenzo Mattotti. 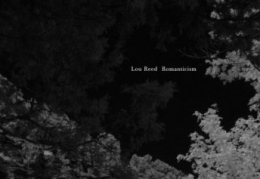 Lou Reed: Romanticism one-day exhibition will be on view on December 17 and in our back gallery from December 18 through January 9, 2010. Steven Kasher Gallery is located at 521 W. 23rd St. New York, NY 10011. Gallery hours are Tuesday through Saturday, 11 to 6 pm. For more info or press requests please contact Kirsten Bengtson at 212 966 3978 / kirsten@stevenkasher.com.